Preheat the oven to 350 degrees and add the butter to a medium sized saucepan melting it on medium heat. Add the flour to the pan and whisk well together for 1 minute before adding in the gravy, milk and mozzarella, whisking until smooth. 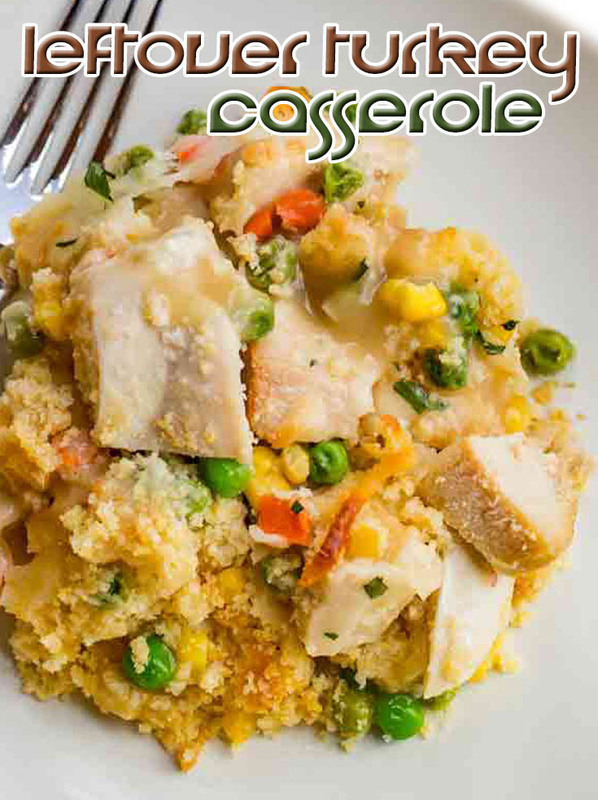 Add the cornbread, turkey, peas, carrots and green beans to a 9x13 pan and cover with the gravy before cooking for 20-25 minutes covered, followed by 10 minutes uncovered.